It’s that time of the year again and you are already panicking, aren’t you? What Valentines jewelry should I get? Where should I make reservations? Will my partner enjoy it? Well, we can’t help with the last two questions but we sure can offer some inspiration for the first one. If you haven’t guessed it yet, we dedicate this article to anybody who needs to buy precious & semi precious stones jewelry for women and doesn’t know where to start. Read further to find out or, in case you are the one who will receive the present, forward this article to your partner. Happy Valentine’s Day! She always surprises you with new ideas, she chooses very interesting destinations for your holidays and she has an unconventional style. If your girlfriend loves art in every form and is always ready to try new things, we have the perfect Valentines jewelry idea for her. 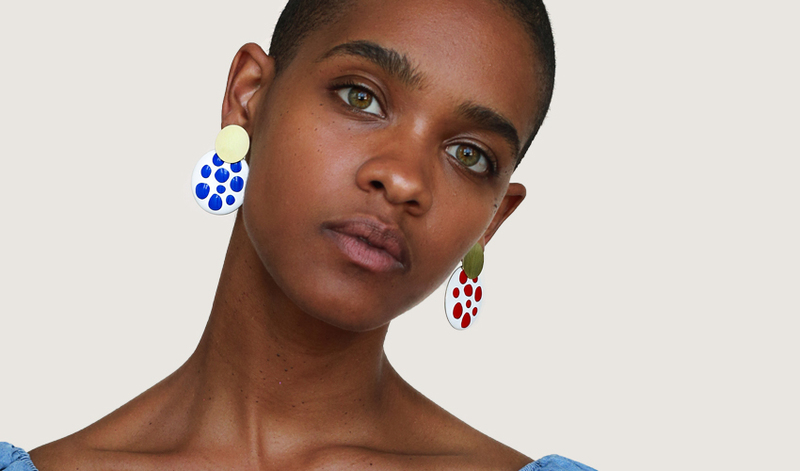 Check out our Kinoko asymmetrical earrings below. With a ball drop shape and a charming color mix, these earrings were artistically designed for a creative woman. She will simply fall in love with them the moment you present her with this present. Get a chic jewelry box and add a handwritten note to create the perfect Valentines jewelry gift. If you feel that earrings may not be the ideal Valentines jewelry for her, you can get this amazing moonstone layered necklace set. With an artistic feel and a beautiful moonstone pendant, this beautiful necklace will surely become her favorite. After all, the moonstone is a romantic gem, one that has always fascinated people with its subtle inner glow. You probably met her when she was fighting a police officer about a parking ticket, didn’t you? If your girlfriend is always ready to stand up to people, if she has a fun style and is always planning your next adventure, then we have some suggestions for you. Bold women usually like their Valentines jewelry to represent them and speak about their personalities. This is why we believe Ana Luisa’s Lily statement earrings are the perfect gift for your girlfriend for Valentine’s Day. Bold, sleek and fun, these earrings will surely represent her and she will appreciate you taking the time to understand her personal style. If you are unsure whether these earrings match her style or not, we have another suggestion. 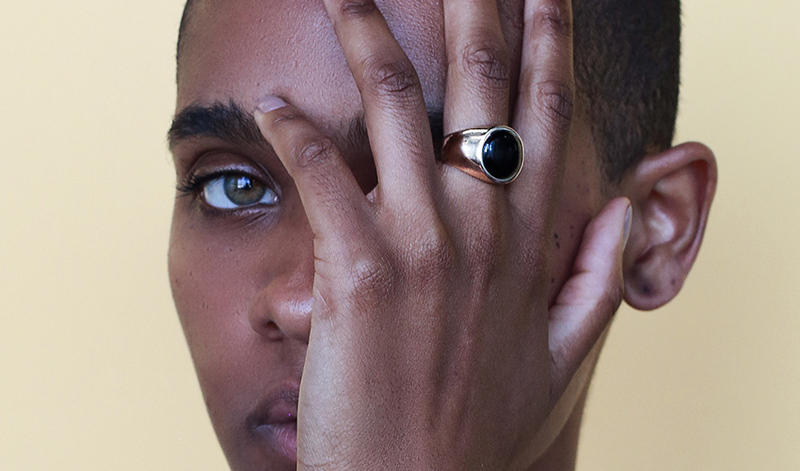 Ana Luisa’s onyx signet ring can also be an ideal gift for Valentine’s Day. Featuring a flawless onyx gemstone, this ring is about personal power and the courage to stand up for yourself. Offer her the perfect Valentines jewelry by getting this stunning ring. When it comes to how she dresses, your girlfriend has an impeccable classic style. She rarely raises her voice when she is having an argument with somebody, she is always polite and confident and she has a way of perfecting everything she does. We know it can be challenging to find the perfect Valentines jewelry for her, so here is what we suggest. 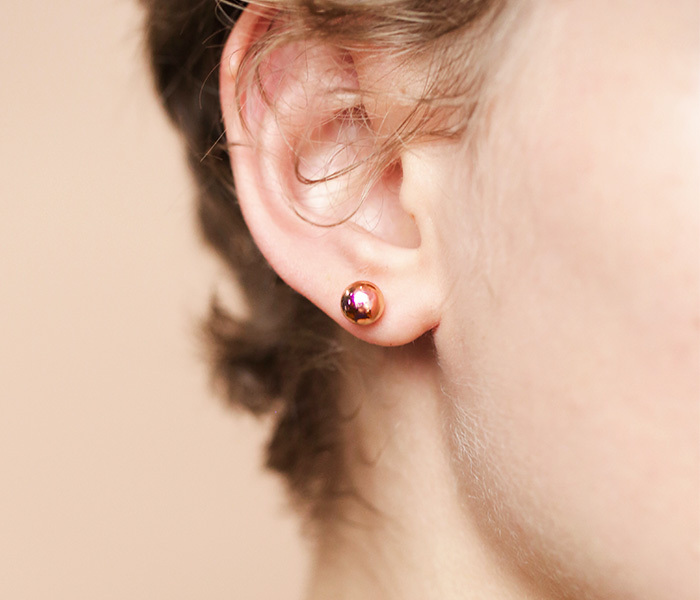 This pair of pearl drop earrings featuring baroque pearls will look wonderful with her velvet dress or sharp suit. Because she has a timeless classic style, pearls are the perfect gemstones for her. 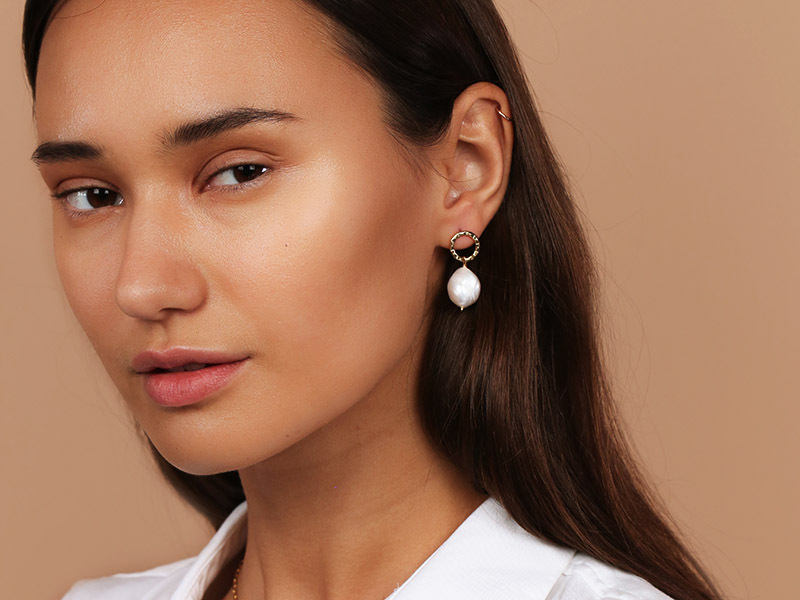 The Valentines jewelry you get needs to represent her personality so this is why we believe you can never go wrong with a pair of pearl earrings. 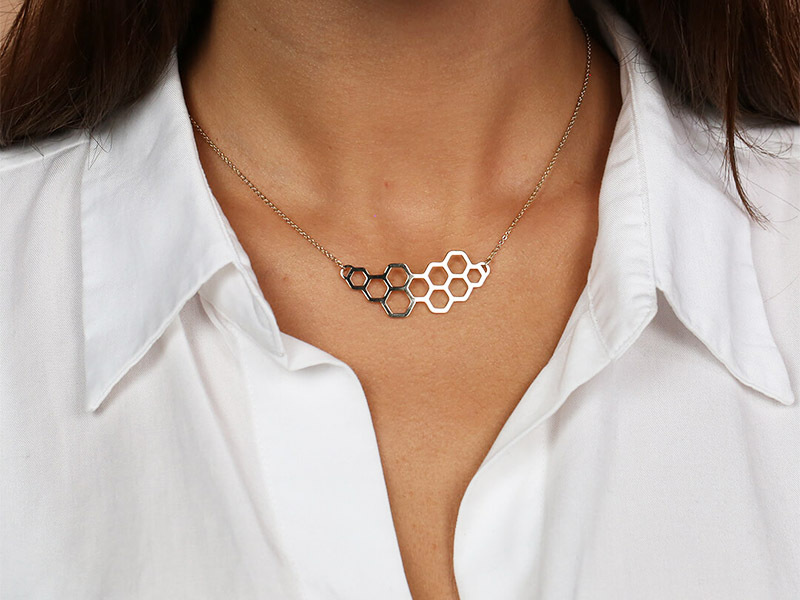 However, if you feel that you want to try something else, this stunning Honeycomb necklace is another Valentines jewelry idea that she will love. 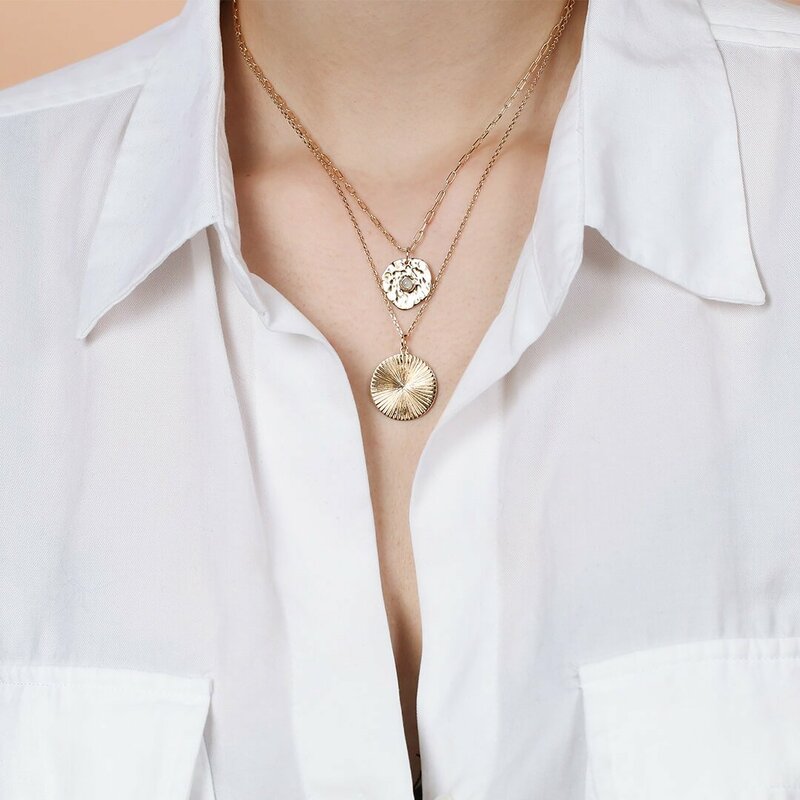 With an intricate and elegant design and a sleek look, this necklace is perfect for your girlfriend’s boat neckline silk blouses. There is this common misconception that sporty women don’t like jewelry too much. This is false, of course. They may not like big chunky jewelry pieces, but they love subtle designs that offer them the freedom to dress how they want. 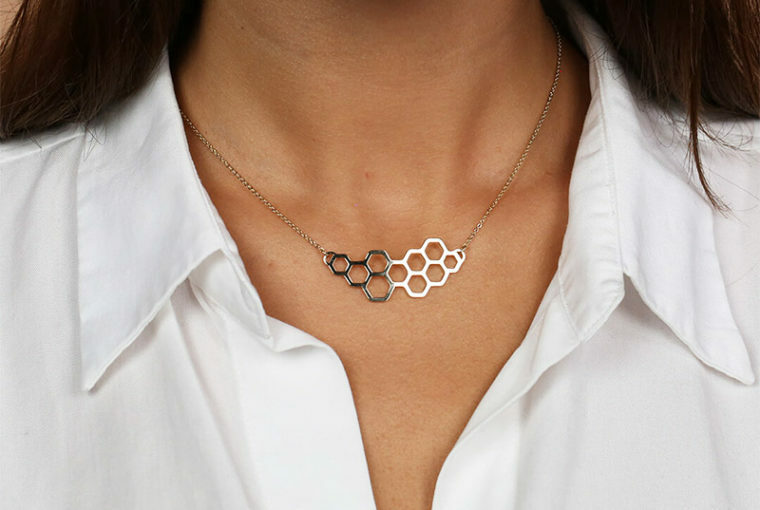 So here is the perfect Valentines jewelry for your sporty girlfriend. This pair of ball stud in rose gold are ideal for women who lave to dress casually but still have a little bit of sparkle. We promise she will fall in love with this present and, the next time you go out, you will see her wearing these lovely earrings. 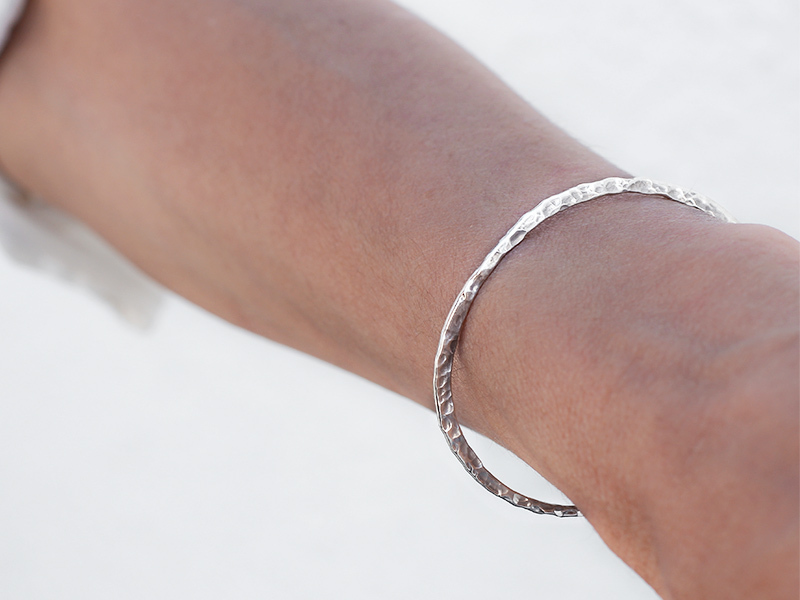 Another suggestion would be this silver thin cuff bracelet that she can wear with any outfit. Versatile, sleek and beautiful, this cuff bracelet is another great Valentines jewelry idea by Ana Luisa. Just a quick word before you go shopping. In case you are getting her earrings, just follow our advice and you will definitely match her style. The same goes for necklaces and bracelets. However, if you are getting her a ring, try to find out her ring size. Get a peek inside her jewelry box and measure one of her rings. It’s important to get the size right because you want her to start wearing your Valentines jewelry gift right away and not have to wait for ring resizing or exchange. If you enjoyed our Valentines jewelry suggestions, we invite you to read our other articles as well. We publish daily articles and you can find a lot of interesting information on this blog. If you want to buy any of the designs featured in this article and see more of our unique NYC jewelry collections, visit Ana Luisa online jewelry shop.